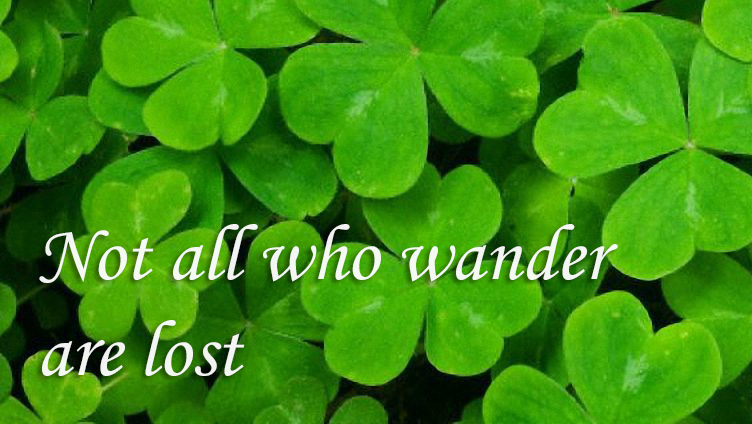 Are you looking for Irish Gaelic sayings? Do you want to know about the most popular Gaelic sayings from Ireland? Read our guide for more information on choosing the right sayings for your requirements. Gaelic is the language of Ireland and the Irish people are proud of their linguistic heritage. Many Irish Gaelic sayings have developed from the rich and ancient language of the Celtic people, the early inhabitants of Ireland. And the religiously minded populace has produced Irish Gaelic sayings that are often repeated today: “May you be a half hour in Heaven before the Devil knows you’re dead.” That particular saying would certainly be welcomed by many! That most Gaelic sayings reflect the wisdom of the ages is a given. Take for instance: “He who is not strong must be cunning.” This saying is a truism that is frequently repeated in life. The Irish preference for a drink now and again is encouraged in this wonderful Gaelic saying: “Croi follain agus gob fliuch” or “A healthy heart and a wet mouth!” in English. Irish Gaelic sayings are full of sage advice and wise words. You’ll be able to find many suitable Gaelic sayings ranging from the profound to the sublime which are just prefect for your distinct needs.